What are you doing Monday, November 9th, from 6-9pm? 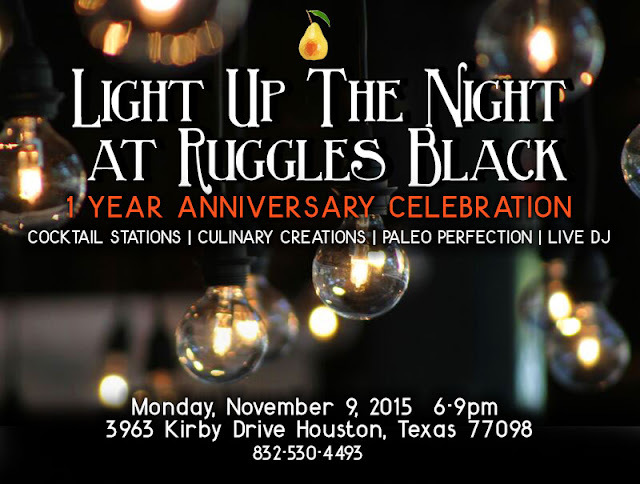 Come join Page Parkes as we celebrate the one year anniversary of Ruggles Black, at their Light Up the Night party! Enjoy their cocktail stations, culinary creations, and paleo perfection, all while jamming out to tunes from their live DJ! Check out the invite below, and be sure to RSVP on there Facebook page (HERE). We can't wait to see you there! In the meantime, be sure to follow us here, Facebook, Instagram, and on Twitter for all your latest and greatest news!